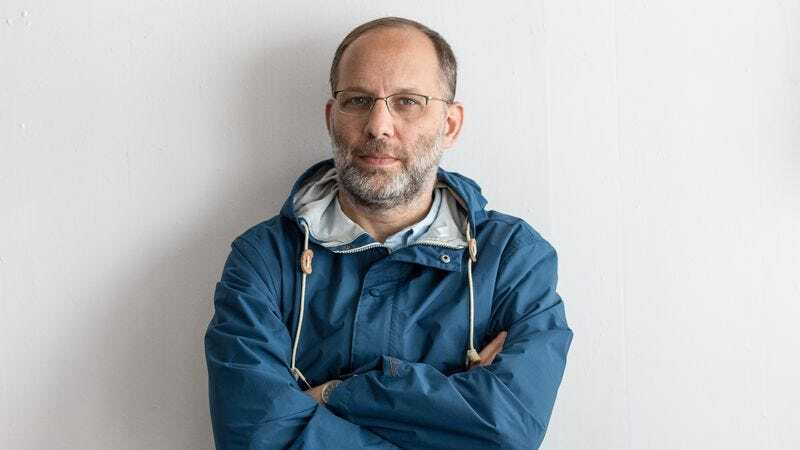 Before all else, Ira Sachs is a humanist filmmaker. Of course, most films are about people in one way or another, so perhaps that description fits anyone who steps behind the camera. But there’s something unexpectedly candid about the way Sachs presents human beings to his audience, in tenderly rendered but unsentimental movies like Keep The Lights On and Love Is Strange. In the milieus of Ira Sachs (typically New York City), characters find themselves in a safe space to be both who they are and who they’d like to become. This approach carries over in his most recent film, Little Men, a drama that subtly depicts the wave of gentrification plaguing our country’s largest cities. The film also focuses on two preteens whose burgeoning friendship is tested when their respective parents are at odds over the renewal of a dress-shop lease. Sachs sat down with The A.V. Club at this year’s Sundance Film Festival, where he talked about fatherhood, art as capitalism, and reading memoirs by “guards in holocausts and serial killers” to truly understand empathy. The A.V. Club: In a way, your movie begins by tackling gentrification. Ira Sachs: Well, I think my movie addresses the struggles of communities facing class distinctions, which are timeless. The questions of how we live together and what we do for money are really the stuff of drama. AVC: Where do you live in New York? IS: I live in Manhattan, in the Village. So downtown area. AVC: Are you feeling the effects of it there? IS: Oh, sure. I find class a relevant sort of characteristic of every encounter you have in the world. Why we’re sitting on this couch and not another couch. So it’s always part of what I’ve observed. AVC: Are you thinking about that now while we’re on this couch, at a very nice film festival? Any guilt? AVC: Is that what you’re in, middle age? IS: I’m in my full-on middle age. I’m 50. To be honest, I think I’m making films about being middle aged. That’s probably not the best thing to say for audience-building, but they’re films from a perspective of a grown-up, you know, and not a 30-year-old. The films have the perspective of the life I’ve lived and right now the additive element is that I’m a father of two 4-year-olds and that’s a new experience, being a parent. It’s not a new experience being a son, and I think being a child is what a lot of my films are about, including this film. With the Greg Kinnear character losing his father, it’s a very significant part, the catalyst for the questions in the story. AVC: You’re a father now. IS: Two 4-year-olds. They are twins and I raise them with my husband and we live next door to their mom, who is actually a filmmaker who has a film here also. AVC: Ah, who is that? Ira: It’s called Cameraperson. Kirsten Johnson is our kids’ mom and I’m going to see her premiere at 3 today. So I think the questions of how to be a good human come into play all the time when you’re a parent. Are you being a good model? Are you being a good parent? Are you parenting well? And you never succeed fully, so the gap between your intentions and reality is the gap I think that Kinnear’s character is particularly facing in this film. For Paulina Garcia’s character, it’s how to be a good mother. I think she makes a lot of choices which are out of instinct instead of out of sort of strategic planning. AVC: How do you balance instinct versus planning as a parent? IS: Well, you balance that the same way you balance any part of your life, which is you do the best you can. And you make mistakes. I think parenting well is not so different than trying to consider how to be successful at any relationship. Like, how do you partner well? How do you collaborate well? How do we have this conversation well? You know, you’re always trying to figure out what “well” means, so I think parenting is another version of that. AVC: At what age did you have the realization that your parents are not perfect? IS: I think there was an age in which it was clear to me that my parents weren’t perfect, but then there was an age at which I had empathy for that. And that was through therapy, probably. You have to rebuild and you also have to grow in your understanding of whatever it is your parents are facing, and that takes a major, profound shift of perspective from being a child. And I think in the film, Kinnear pretty much says that to his son in a fit of anger, but it’s actually very real. He’s looking for understanding of how much he’s trying to be the person he wants to be. AVC: Is that a challenge for you? IS: I’m more comfortable with myself than I used to be, so I think it’s less of a challenge. I think in general my interior and my exterior are closer in contact than they used to be, which I think is really helpful. AVC: When did that happen? IS: That happened when my life kind of blew up in my late 30s. I made a movie about it called Keep The Lights On, which in a way was about the high point of not being comfortable and waiting for that to reach its crisis. AVC: What were you not comfortable with? IS: Well, I think as a gay person, there was no way in my generation to not grow up with shame and a sense of being wrong. It was impossible to avoid. Externally, you might make choices that are very public and very open but internally that was a struggle. AVC: Do you still feel discomfort? IS: Sure, I think I tend to feel discomfort more when I anticipate or arrive upon moments in which I need to be careful. As a gay person, there’s the fear of violence, and we’re not making that up. AVC: Even in New York? AVC: Are there times where it’s hard for you to empathize with someone? IS: I do not have that problem. I can be incredibly angry with someone, I can be incredibly critical, but… I went through a period where I was reading a lot of memoirs of guards in holocausts and serial killers. I like to understand why people do bad things. AVC: Do you empathize with Trump? IS: I empathize with everybody. I mean, not in any altruistic way, but there’s always a story. I can be really bitchy and mean and judgemental, I can be extremely caustic and tough and condescending. I’m not a benign person but one part of my brain that I try to access as a filmmaker is understanding—that’s what I’m trying to do. So there’s no character that I wouldn’t on some level try to pull back and understand. AVC: Do you think that’s what your movies try to do more than anything else? IS: Yes, I think as a storyteller that’s what I’m trying to show. Why people do what they do and how they fall short doing what they might want to do. Or not! There are moments where they don’t, beautiful moments. I generally look at characters as a combination of psychology, anthropology, sociology, and Marxism. Again, it’s like this couch. Understanding all of those elements is really how you tell a story. AVC: Are you a Marxist? IS: I’m someone who can create critiques of individuals based on their economic history. That’s one way I look at people in terms of one story that could be told purely in a Marxist construction. AVC: Does that interest come from your own family or background? IS: My own family is upper-middle class, Jewish, from Memphis, Tennessee. I was educated, I went to Yale, I studied a lot of critical theory. I was there during the time of deconstruction. I went to college in the early ’80s which is the decade after the ’60s, really, with the questions of activism and responsibility as individuals in the community which are still very important. So I’m not an activist filmmaker but I try to be a socially attentive filmmaker. AVC: Were you angry as a college student? IS: No, but I was organizing around political identity. I was active in the area’s political causes. And then I got to New York in the late ’80s, which was the epicenter of the AIDS epidemic. I was a part of ACT UP, which was a part of the AIDS Coalition To Unleash Power. But, again, I wasn’t an activist because I was being a martyr, I was an activist because that’s how my community was supportive. So socially, I was also organizing. AVC: Are you still an activist? IS: I founded that non-profit, and a lot of it is about community organizing and events, so we run a mentorship program. There are lots of different programs we run, but the result for me personally is that I’m surrounded by people—as at Sundance—and seek out communities that give me permission to do the things that I believe in. AVC: Yet even at Sundance, people still complain. IS: I guess some people are burdened by a job they don’t want, or that they’re not happy in, or feel not empowered by. AVC: You feel empowered here, though? IS: I feel empowered on one level, but I also feel it is the beast. Coming to a film festival is a very brutal experience, for everyone. AVC: What does that mean for you? IS: That means you’re coming into contact with capitalism and the industry, which is by nature not sensitive to personal expression. It’s not its job to be sensitive, so you’re bringing something that you made into the cauldron of the industry. I don’t resent that because I’m really happy there is an industry, and that the industry has invited me to bring my work here, but it’s challenging. Every filmmaker who’s here would agree with that. AVC: Is there an alternative? IS: The alternative is to give up or not do things. To be a creative person and be a professional, as an artist you have to be able to withstand pain, rejection, and for some, a lot of bad feelings, but you have to be able to look through those. AVC: How often do you face rejection? IS: Daily. Just between when I went to the bathroom and when I checked my phone I was facing rejection. IS: You know, just this or that. There’s always a series of people that you’re trying to… you know, someone might not like the film, or some tweet might come out. But it’s not just that, it’s everything. You’re dealing with sales and distribution and you’re a commodity. I went to the Toronto Film Festival with my first film, The Delta, which went to Toronto and then came to Sundance. AVC: What year was that? IS: I was probably in Toronto in 1996, and it took between Toronto in ’96 and Sundance in ’97 to find a distributor. What I remember is that it was in a different building than it used to be, and there were escalators and one set of escalators went down to the Toronto Film Festival and press conferences and famous people, and the other escalator went down to a dentist convention. And actually, they were the same. There were famous dentists and dentists who got recognized and dentists who didn’t. I really do see this as a convention. We call it a festival but it’s a convention of people who are buying and selling wares. My ware’s a film but it might as well be a shoe. You’re dealing with capitalism. People have said capitalism can be cruel. I do feel that still being here making films is really encouraging, and it’s never a given. AVC: You’ve had a lot of successes—doesn’t that help lessen the blow? IS: It alleviates the panic, but I know that everything is impacted, and also, I’m human. You know, you want to be loved, you want to be great. AVC: Does everyone want that? To be great? IS: It’s an interesting question. When you said that the first person that comes to my mind is [Rainer Werner] Fassbinder. I just recently watched footage of him sharing his films at the Berlin Film Festival, and he’s being booed and people are throwing things, and you really look at Fassbinder and think, he doesn’t care, and it’s impressive. But if Fassbinder were alive and he was talking to you here today about rejection, my guess is as a sensitive person and just basically as a human being, that he had feelings. So when you say not everyone does, I don’t know. That could also be a sociopath, right?